Whether you’re a parent or a teacher, these best new early elementary reading books will be perfect for your kids. With two boys in elementary school, I’m always looking for great reads for my kiddos. And I just adore all of these books! 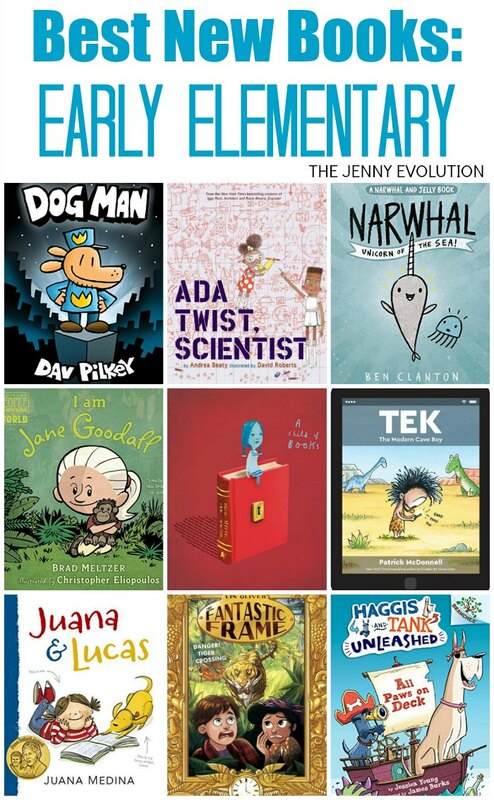 You can find these new early elementary reading books at your local library or purchase through the affiliate links provided for your convenience. 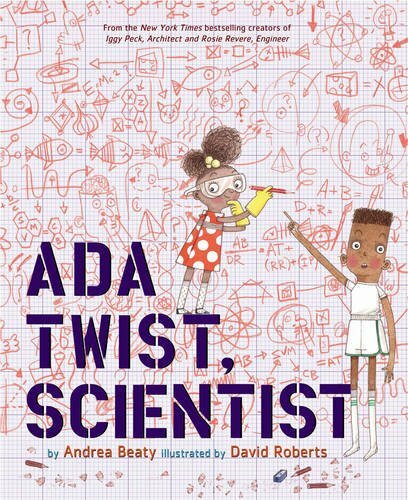 Ada Twist, Scientist: Like her classmates, builder Iggy and inventor Rosie, scientist Ada, a character of color, has a boundless imagination and has always been hopelessly curious. Why are there pointy things stuck to a rose? Why are there hairs growing inside your nose? When her house fills with a horrific, toe-curling smell, Ada knows it’s up to her to find the source. What would you do with a problem like this? Not afraid of failure, Ada embarks on a fact-finding mission and conducts scientific experiments, all in the name of discovery. But, this time, her experiments lead to even more stink and get her into trouble! Inspired by real-life makers such as Ada Lovelace and Marie Curie, Ada Twist, Scientist champions girl power and women scientists, and brings welcome diversity to picture books about girls in science. 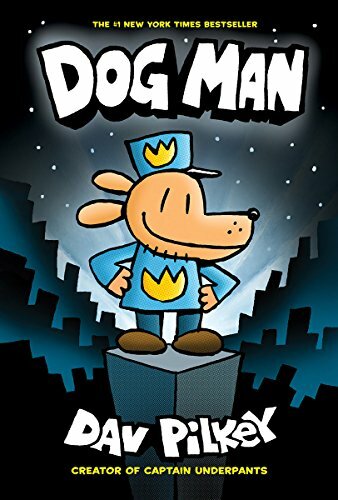 Dog Man: From the Creator of Captain Underpants (Dog Man #1): George and Harold have created a new hero who digs into deception, claws after crooks, and rolls over robbers. When Greg the police dog and his cop companion are injured on the job, a life-saving surgery changes the course of history, and Dog Man is born. With the head of a dog and the body of a human, this heroic hound has a real nose for justice. But can he resist the call of the wild to answer the call of duty? I am Jane Goodall (Ordinary People Change the World): We can all be heroes. That’s the inspiring message of this New York Times bestselling picture book biography series from historian and author Brad Meltzer. 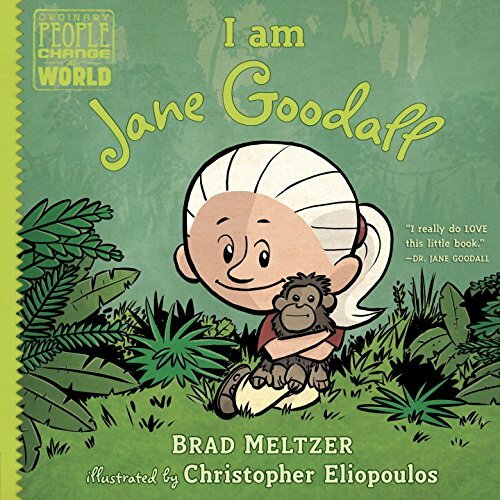 Learn all about Jane Goodall, the chimpanzee scientist. 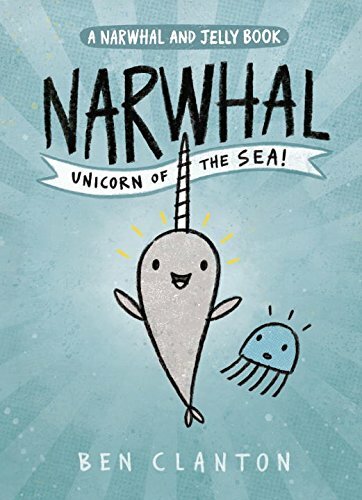 Narwhal: Unicorn of the Sea (A Narwhal and Jelly Book #1): Narwhal is a happy-go-lucky narwhal. Jelly is a no-nonsense jellyfish. The two might not have a lot in common, but they do they love waffles, parties and adventures. Join Narwhal and Jelly as they discover the whole wide ocean together. A wonderfully silly early graphic novel series featuring three stories. In the first, Jelly learns that Narwhal is a really good friend. Then Narwhal and Jelly form their own pod of awesomeness with their ocean friends. And finally, Narwhal and Jelly read the best book ever — even though it doesn’t have any words…or pictures! Elephant & Piggie Like Reading! The Cookie Fiasco: Four friends. Three cookies. One problem. 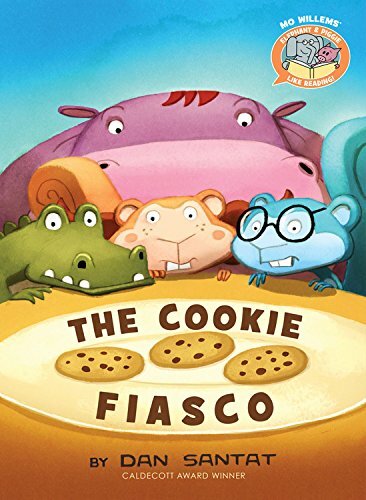 Hippo, Croc, and the Squirrels are determined to have equal cookies for all! But how? There are only three cookies . . . and four of them! They need to act fast before nervous Hippo breaks all the cookies into crumbs! 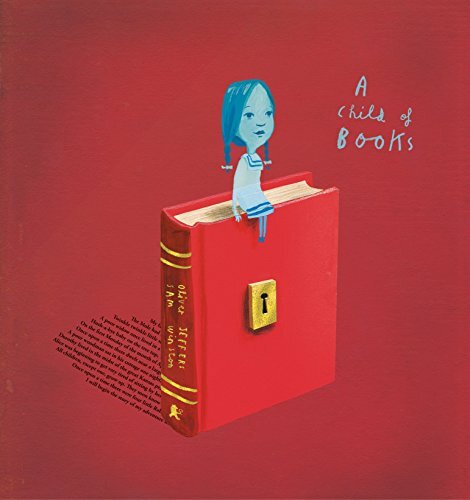 A Child of Books: A little girl sails her raft across a sea of words, arriving at the house of a small boy and calling him away on an adventure. Through forests of fairy tales and across mountains of make-believe, the two travel together on a fantastical journey that unlocks the boy’s imagination. Now a lifetime of magic and adventure lies ahead of him . . . but who will be next? Combining elegant images by Oliver Jeffers and Sam Winston’s typographical landscapes shaped from excerpts of children’s classics and lullabies, A Child of Books is a stunning prose poem on the rewards of reading and sharing stories—an immersive and unforgettable reading experience that readers will want to pass on to others. 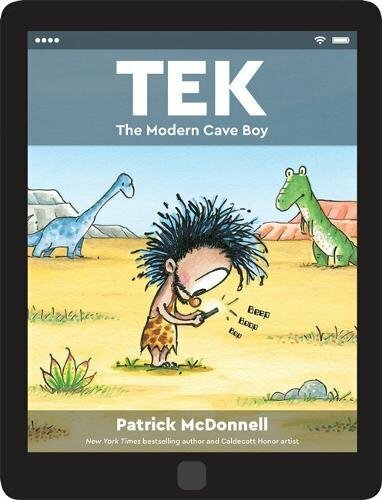 Tek: The Modern Cave Boy: Here is a hilarious (and heartfelt) reminder of how technology can take us backward…all the way to the times of prehistoric man! Tek is a cave boy in love with tech: his tablet, videogames, phone, and TV keep him deep in his cave, glued to his devices, day in and day out. He never sees his friends or family anymore–and his ability to communicate has devolved to just one word: “UGH!” Can anyone in the village convince Tek to unplug and come outside into the big, beautiful world? 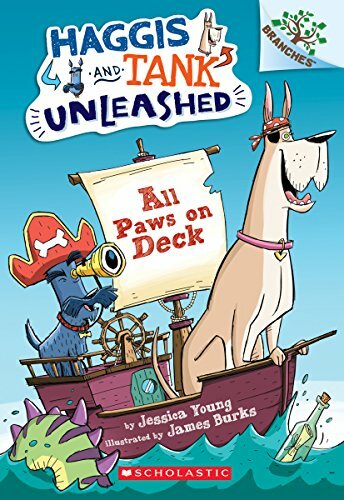 All Paws on Deck: A Branches Book (Haggis and Tank Unleashed #1): This series is part of Scholastic’s early chapter book line called Branches, which is aimed at newly independent readers. 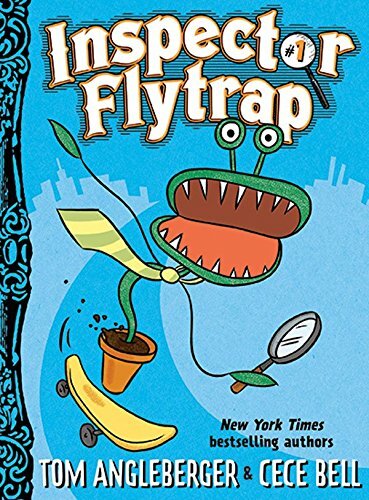 With easy-to-read text, high-interest content, fast-paced plots, and illustrations on every page, these books will boost reading confidence and stamina. Branches books help readers grow! Tank is a clumsy, outgoing Great Dane. Haggis is a dapper and grumpy Scottie dog. In the first book in the series, Haggis and Tank set sail as pirates. At first, Haggis doesn’t see what Tank does–that an adventure awaits them with just a little imagination! But soon, Haggis joins in the fun and the two friends go on a pirate adventure. 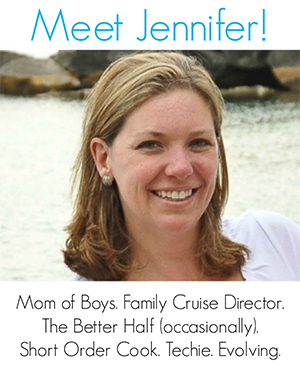 They talk like pirates, swab the deck, and even search for buried treasure. This series is full of clever wordplay and homophones that make Haggis and Tank’s adventures even more fun! 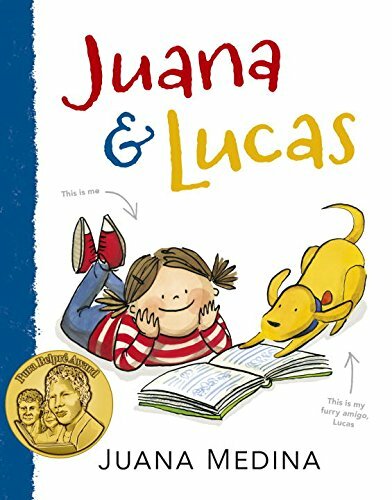 Juana and Lucas: Juana loves many things — drawing, eating Brussels sprouts, living in Bogotá, Colombia, and especially her dog, Lucas, the best amigo ever. She does not love wearing her itchy school uniform, solving math problems, or going to dance class. And she especially does not love learning the English. Why is it so important to learn a language that makes so little sense? But when Juana’s abuelos tell her about a special trip they are planning—one that Juana will need to speak English to go on—Juana begins to wonder whether learning the English might be a good use of her time after all. 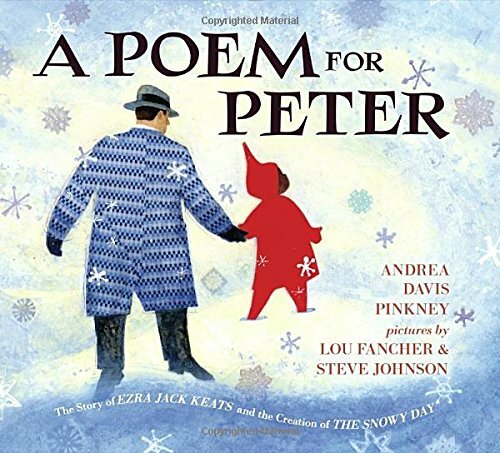 A Poem for Peter: The Story of Ezra Jack Keats and the Creation of The Snowy Day: The story of The Snowy Day begins more than one hundred years ago, when Ezra Jack Keats was born in Brooklyn, N.Y. The family were struggling Polish immigrants, and despite Keats’s obvious talent, his father worried that Ezra’s dream of being an artist was an unrealistic one. But Ezra was determined. By high school he was winning prizes and scholarships. Later, jobs followed with the WPA and Marvel comics. But it was many years before Keats’s greatest dream was realized and he had the opportunity to write and illustrate his own book. 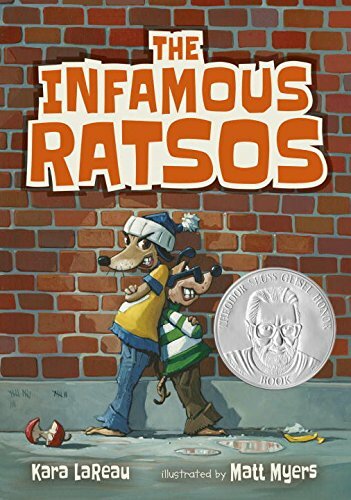 The Infamous Ratsos: Louie and Ralphie Ratso’s dad, Big Lou, always says that there are two kinds of people: those who are tough and those who are soft. Louie and Ralphie are tough, tough, tough, just like Big Lou, and they’re going to prove it. But every time they try to show just how tough they are, the Ratso brothers end up accidentally doing good deeds instead. What’ll Big Lou do when he finds out they’ve been acting like softies all over the Big City? Perfect for emerging and reluctant readers, this clever and surprisingly warmhearted chapter book shows that being tough all the time can be really tough. Henry & Leo: Leo isn’t just a stuffed toy, he is Henry’s best friend and brother. He is as real as a tree, a cloud, the sun, the moon, the stars, and the wind. 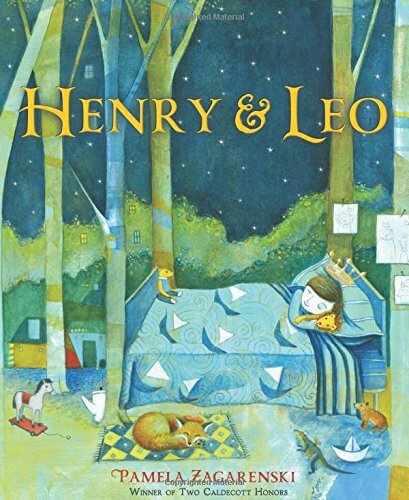 But when the two are accidentally separated, no one in Henry’s family believes Leo is real enough to find his way home. With beautiful mixed-media paintings, the Caldecott Honor–winning artist Pamela Zagarenski explores the transcendent nature of friendship and love. 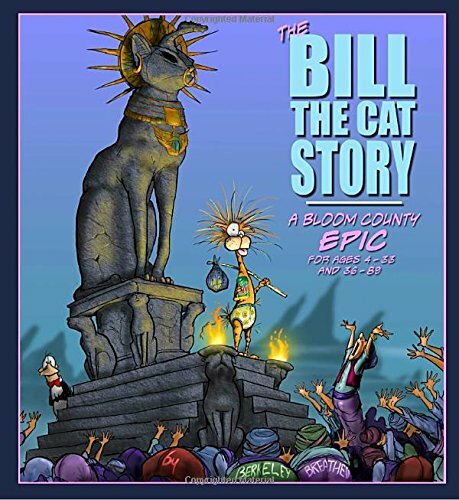 The Bill the Cat Story: A Bloom County Epic: Almost thirty-five years ago Berkeley Breathed launched a little-known yet laugh-inducing comic strip called “Bloom County” that was full of characters who instantly entered the public consciousness–none more so than Opus (the penguin) and Bill the Cat. Bloom County’s popularity soared, it was soon syndicated nationally, had millions of daily readers, and before long its creator was awarded a Pulitzer Prize. Then, nine years later, “Bloom County” sadly came to a close. It had simply ceased being fun for Berkeley Breathed. Now, more than twenty-five years after it ended, “Bloom County” has returned in full force and humor online, with an ever-growing fanbase every bit as zealous as it was in the strip’s heyday. For the comic’s youngest fans, and for those who never stopped wishing for its return, here is an all-new, kid-friendly story for anyone who ever wanted to know the origin story of Bill the Cat. “Bloom County” has never been more fun! Lucy: Lucy is a small dog without a home. She had one once, but she remembers it only in her dreams. Eleanor is a little girl who looks forward to feeding the stray dog that appears faithfully beneath her window each day. Eleanor’s father is a juggler with stage fright. 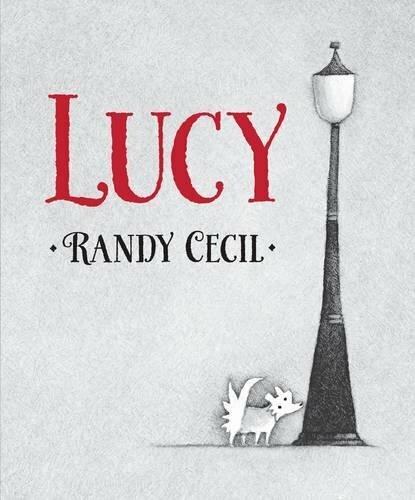 The overlapping stories of three delightful characters, offering a slightly different perspective each time, come together in a truly original, beautifully illustrated book for dog (and underdog) lovers of all ages. 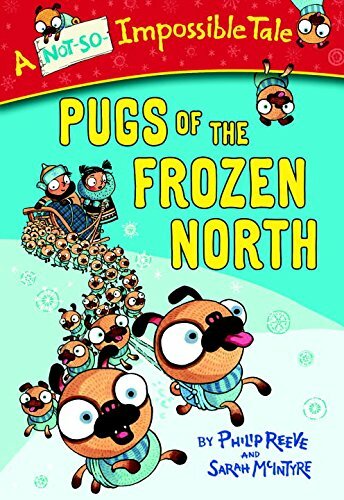 Pugs of the Frozen North (A Not-So-Impossible Tale): Far away, in a winter wonderland, an amazing sled race is about to begin. The winner can make one wish, and it will magically come true! Two friends, Sika and Shen, want to win more than anything. But all they have is a pack of yappy, yippy, pug puppies. Ten pugs can’t move their sled. Even with thirty, it doesn’t budge. But what about . . . SIXTY-SIX? With a little bit of luck, anything is paws-ible. Skunked! 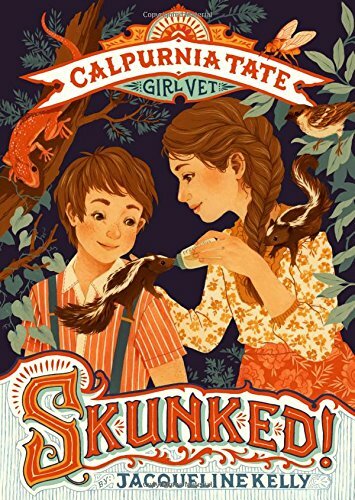 : Calpurnia Tate, Girl Vet: When soft-hearted Travis discovers an abandoned baby skunk, he can’t help but bring him home and take care of him. Stinky, as Travis names him, settles in pretty well. But when Travis discovers Stinky’s litter-mate, Winky, who is in need of some help, things get complicated around the Tate house. One skunk is a piece of cake; two is just asking for trouble. Will Travis and Callie be able to keep the critters away from Mother’s careful eyes―and nose? 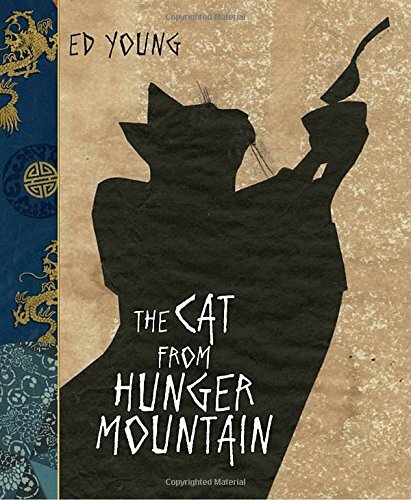 The Cat From Hunger Mountain: In a place called Hunger Mountain there lives a lord who has everything imaginable yet never has enough. To satisfy his every desire, he hires builders to design the tallest pagoda; a world-famous tailor to make his clothing from silk and gold threads; and a renowned chef to cook him lavish meals with rice from the lord’s own fields. What more could he possibly want? Yet when drought plagues the land, Lord Cat is faced with his first taste of deep loss, he ventures down the mountain and what he discovers will change his life forever. Danger! 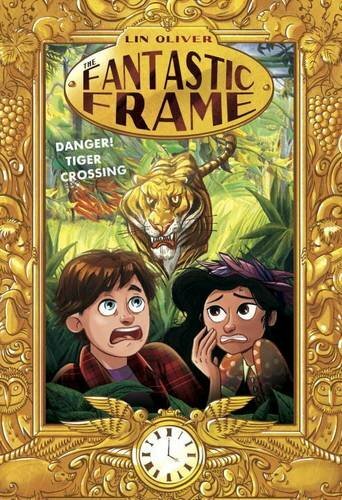 Tiger Crossing #1 (The Fantastic Frame): When ten-year-old Tiger Brooks and his family move into a new home, he sees some strange things at the house next door—like a talking pig in a top hat! When he and his neighbor, Luna Lopez, investigate, they discover a reclusive old woman and her magical golden frame, through which they can enter the world’s greatest paintings. In this book, Tiger and Luna get pulled into the painting Surprised! or Tiger in a Tropical Storm by Henri Rousseau. But they must escape the jungle adventure before time runs out, otherwise they’ll be trapped in the painting forever! 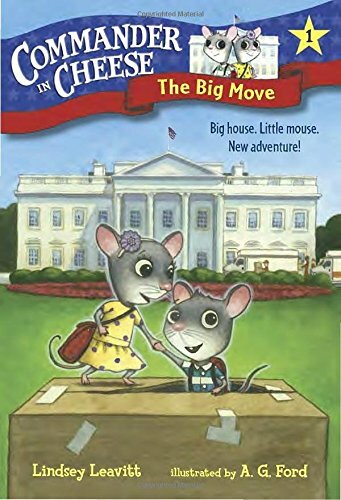 Commander in Cheese #1: The Big Move: If you are a mouse, then you might know about Ava and Dean Squeakerton. They are kind of famous, for mice. That’s because Ava and Dean and the rest of their family live in the White House. A new president is moving into the White House, and best of all she has kids! That means cool kid treasures for Ava and Dean Squeakerton. Maybe they’ll even find a Lego! There’s only one problem. . . . Sneaking around means Ava and Dean will each have to be as quiet as a . . . mouse. And the Squeakerton siblings aren’t so good at that. But moving day is so busy, nobody would notice two mice searching for toys . . . right? 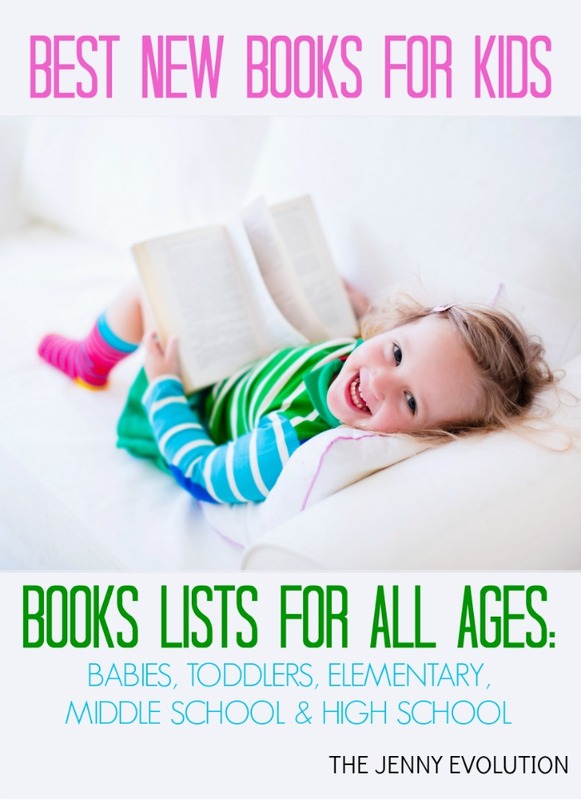 Love this list of the best new early elementary reading books? Don’t miss out on other Best New Children’s Books for Kids, all broken down by age group through high school! Wow, so many great suggestions. Thank you!!!! I used to read all of the time to my kids when they were little. I haven’t read any of these though. Great list! I’d love to invite you to share at the Literacy Musing Mondays linkup. 🙂 Here’s a link if you want to check it out: http://www.brandiraae.com/literacy-musing-mondays-april-24-29/ Thanks! Great suggestions! We’ve read the Iggy and Rosie books which were so great (esp. for girls). Will have to check these others out. Visiting from Think Tank Thursday party.